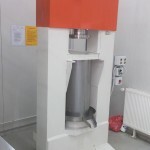 Hydraulic press | Herbas d.o.o. 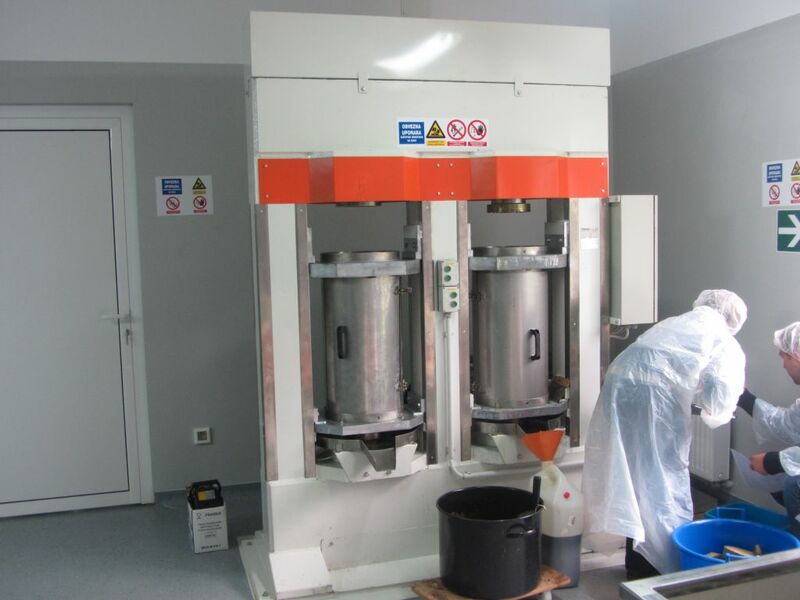 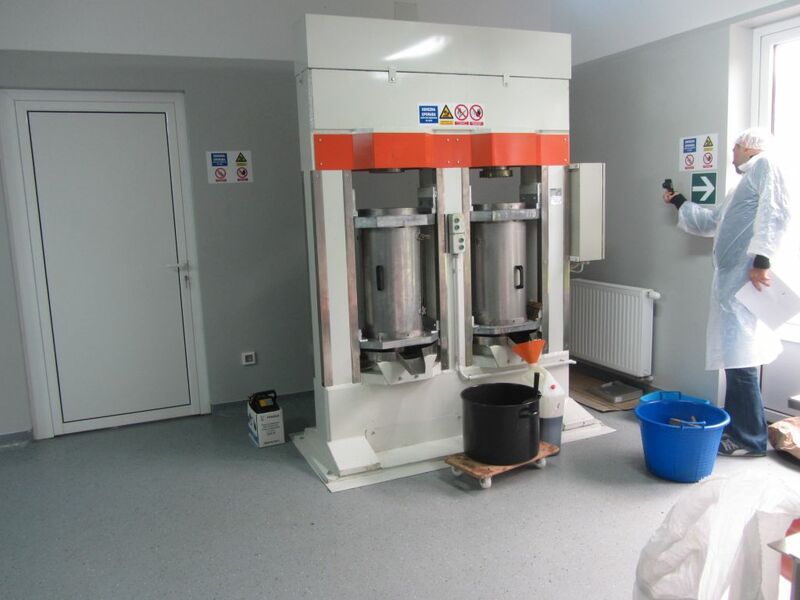 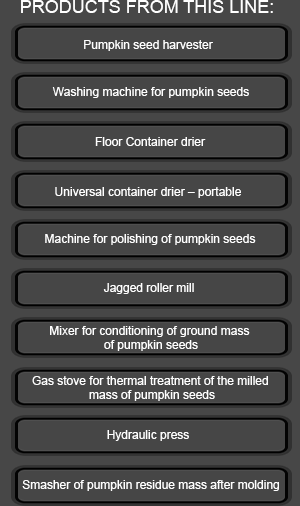 Presses HOH-A160 and HP-300-2 are designed for pressing of prepared and cooked ground mass of pumpkin seeds. 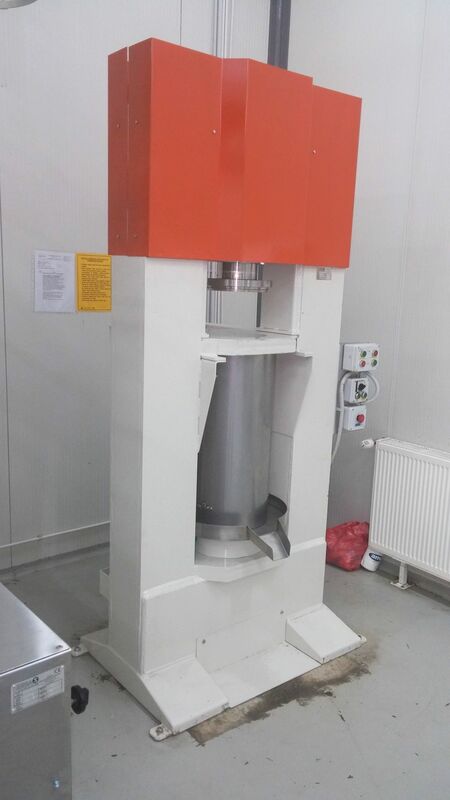 Hydraulic press is equipped with hydraulic aggregate, electrical control cabinet, cylinder for filling and pressing of material. 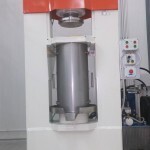 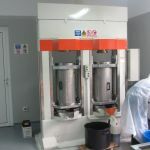 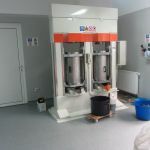 When charging, the pressing cylinder with the conditioned and heat treated mass, between batches volume of 1.5-2 l two circular plates are placed for the purpose of quality pressings. 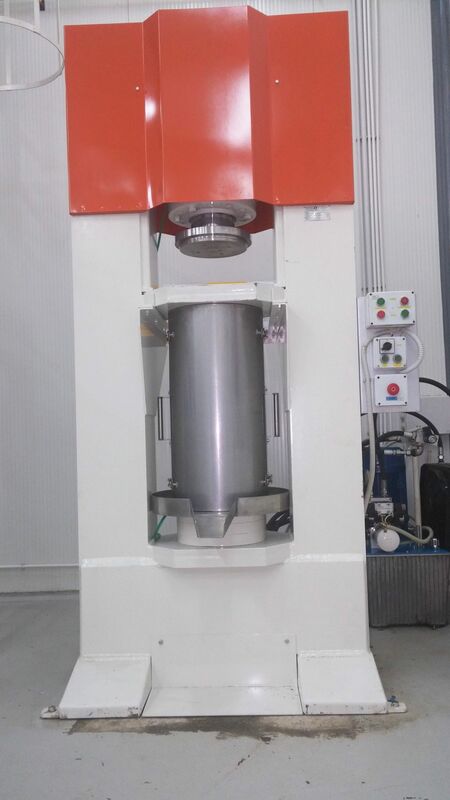 Process of pressing is controlled via control cabinet or manual controls via hydraulic drive.